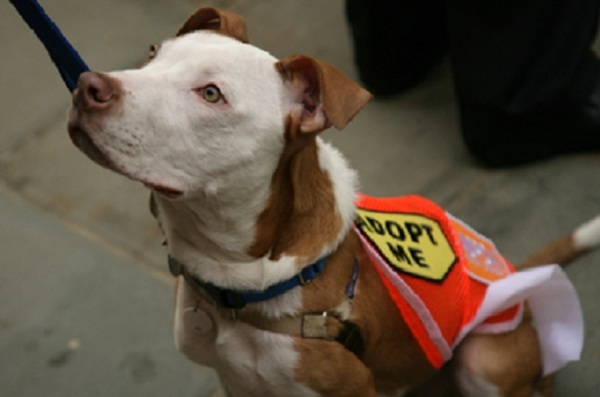 An adoptable pet who visited City Hall in 2010 for the announcement of a major grant to the Mayor&apos;s Alliance for NYC&apos;s Animals, a coalition of more than 160 animal rescue groups and shelters that work with Animal Care & Control of New York City. The head of the city’s animal control organization tendered her unexpected resignation last week. New York City Animal Care & Control (ACC) executive director Julie Bank, who had received a contract extension in April, said she would be leaving for family reasons, effective October 19. The organization’s director of operations left earlier last week. The departures were only the latest signs of an organization, and city animal care policies, that are in flux. “With the impending resignation … we find ourselves at a very important crossroads for the organization and for all of our four-legged friends who call this great city home,” wrote Brooklyn Councilmember Vincent Gentile in a letter to Department of Health and Mental Hygiene Commissioner Tom Farley, who chairs the ACC. In early September, a local animal rescue organization was scheduled to present oral arguments against the city in the Court of Appeals, the highest level of the state judiciary. 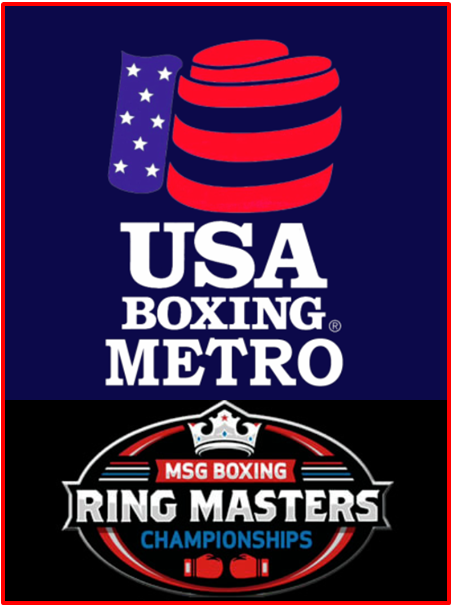 The hearing was postponed until November 14. But when the court does take up the case, animal advocates hope it will give them standing to push for widespread changes in an animal control system some say is in crisis. That system is run by the non-profit ACC, with a budget of almost $11 million for the current fiscal year. Last year, ACC took in 36,000 animals. Roughly 20,000 were released through adoption—most through smaller affiliated organizations, and 5,900 via the ACC itself. And almost 11,000 animals were euthanized. ACC adoption numbers have declined for six consecutive years. The organization—which has had six directors in six years and eight since Michael Bloomberg became mayor—has not had a full-time medical director for two years. According to former employees and volunteers, ACC facilities routinely run out of basic supplies like cat litter, wet food and rabies injections. These sources also claim animals in ACC are getting sicker and disease strains are getting stronger, and further claim the agency has expanded its list of “untreatable” conditions to justify euthanasia. ACC officials denied most of these claims. It is difficult to verify either version because ACC is a contractor rather than a city agency, with fewer available records on its performance, and requires employees and volunteers to sign confidentiality agreements that apply even after they have left the agency. ACC was created in 1993 and commenced operation in 1995. Among some animal advocates, it was controversial from the start. Though it was supposed to be “independent,” it was and is a vendor of the Department of Health and Mental Hygiene (DOHMH), from whom the vast majority of its budget comes. “The mayor and the previous mayor enjoy this construct that they want to make sure no organization can walk away from having the ACC contract,” Manhattan Assemblyman Micah Kellner (D) has said. “The fix is clearly in.” This refers to the situation created in 1993 when the organization then in charge of animal control—the American Society for the Prevention of Cruelty to Animals (ASPCA)–announced it would not renew its city contract to provide such services. ACC uses city-owned facilities. The mayor appoints all nine of ACC’s board members—many of whom are city employees, including the health commissioner. That means Farley, as head of DOHMH, oversees a multimillion-dollar contract held by ACC, of which he is board chair. Beyond this conflict, critics wonder if an agency pledged to improve the health of people is qualified to oversee an entity devoted to the welfare of animals. Throughout the 1990’s, the ACC came under criticism for dismal conditions in the shelters and euthanasia rates usually hovering in the 70th percentile. These conditions and statistics became the genesis for the City Council’s 2000 Animal Shelters and Sterilization Act, which mandated that 24-hour a day, seven-day-per-week full-service animal shelters be constructed in each borough. ACC by law must accept every animal brought to its doors. Running five full-service shelters would have added to an already enormous workload for the organization. But it also would have reduced the potential for overcrowding—with its implications for animal health and survival. In the end, only three of the five shelters were constructed, in Manhattan, Brooklyn and Staten Island, with DOHMH primarily calling the shots about budget, location and building schedules, according to two former ACC directors who spoke to City Limits. After receiving an extension by the City Council in 2002, DOHMH and the ACC tried to build the other two facilities required by the 2000 law but circumstances kept getting in the way—whether in the form of community opposition or a landlord not wanting to wait for the city’s cumbersome purchasing process. And the financial burden to build the remaining shelters was a deterrent. In the end, the city said it was just not able to establish sites in Queens and the Bronx, instead opening receiving centers—which are simply locations where people forfeit their animals—in those boroughs. When Bank first became executive director in 2010, the city had just decimated its funding to ACC, slashing from $8.7 million to $7.2 million over two fiscal years. As a result, she and her management team had to make choices that were ultimately reflected in shelter conditions. Already low staffing levels were cut. The lost and found department and the call center were effectively closed, making it virtually impossible to find a lost pet. Operation hours also diminished. Today, only the Brooklyn facility has an X-ray machine. “We are looking at some private funding that might allow us to have an X-ray in Manhattan, although space limitations might prevent that,” Bank said in an August interview with City Limits, before she announced her departure. But she played down the impact of ACC’s scarce resources. “If we need the help…. in a procedure or something we can’t do, we utilize outside veterinarians and we pay for those services,” she said. ACC has not had a paid medical director on staff since 2010, and according to Bank, doesn’t plan to hire one until 2014. The ACC’s previous medical director currently works as the full-time senior director of community outreach for shelter medicine programs in the ASPCA’s Veterinary Outreach Department, but is also considered the ACCs “medical director/consultant” regularly on call. There are separate questions about the qualifications of staff who perform the work of licensed veterinary technicians, who can do things like administer anesthesia. Lower-level “vet assistants” are not supposed do so, but a former shelter employee said unlicensed assistants gave rabies shots, drew blood and performed heartworm tests. One ACC staffer at the Manhattan facility is called the “senior/head vet tech” but according to the New York State Office of the Professions, she is not certified as such; her application has been pending since 2010. Bank refused to comment on the issue. Asked about the qualifications of ACC staffers, a spokesperson for the health department wrote, “DOHMH expects all of its contractors to abide by applicable laws. ACC has been lobbying the state for an exemption to allow vet assistants to perform more duties that are not permitted now, like putting in IV lines or administering anesthesia. Bank said veterinarian technicians represent “probably the most difficult area for this organization to find candidates,” in part because there is so much competition with animal hospitals and private veterinarians. But the agreement makes it difficult to verify claims of success or failings by ACC shelters. 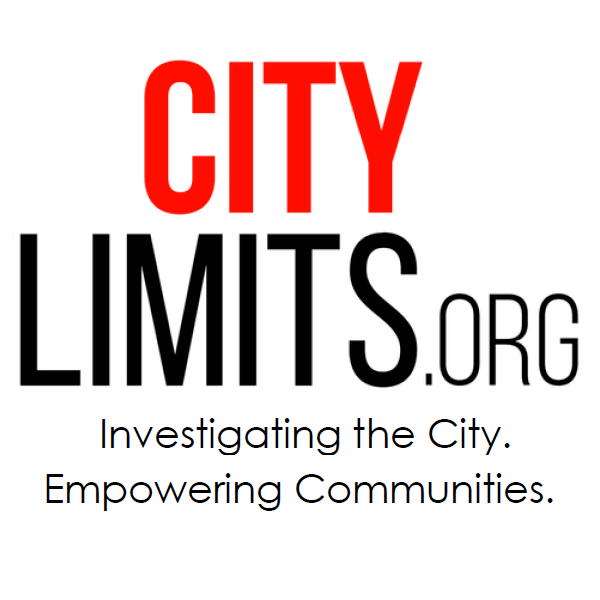 City Limits interviewed seven current and former volunteers for this story, as well as three current and six former ACC employees, and most insisted on anonymity. A former employee who left earlier this year said the “cleanliness was atrocious.” She recalled how she, “could go away and come back the next day and the conditions in the cage would be the same … crusty food, dirty litter boxes.” She says she complained to the supervisor twice, who did nothing. She further claims bowls were not sufficiently sanitized, raising the risk of disease, and that animals were sometimes left with roach-infested blankets. A former volunteer said she often saw techs/assistants, “not washing their hands… not wearing gloves,” which was confirmed by other interviewees. Kay Smith runs a Facebook campaign to save animals on the nightly euthanasia list, officially the “at-risk list.” Her site recently claimed not only that ACC animals are getting sicker due to stronger strains and disease combinations, but also more and more aren’t making it out of the shelter. In December 2002, Mayor Bloomberg signed a memorandum-of understanding (MOU) with the newly created Mayor’s Alliance for New York City Animals—a group that liaises between ACC, other animal care organizations and the city—with the goal of becoming a No-Kill (NK) shelter system by 2008. The target date was later moved to 2015. The cornerstone of the plan involves paying the now more than 150 rescue groups who are Alliance partners (APOs) to place rescues—predominantly “pulled” from the ACC into homes—on a per animal basis. The ACC has a similar program called New Hope Partners, but those groups aren’t paid. It’s been effective but remains controversial. “Mayor’s Alliance is providing temporary aid by paying private rescue groups with private money to do the work the ACC should be doing, but that can’t last forever, and then we will be stuck with a system that is as broken, as abusive, and as incompetent as ever,” emailed John Sibley, who writes a blog called In Dogs We Trust. While euthanasia numbers are down, so are ACC’s intake numbers. But there’s debate about why. There are fewer stray animals, thanks in part to effective low-cost spay/neuter programs and better education and adoption programs. But cuts to ACC’s field operations could also have reduced intake by limiting the number of strays the agency collects itself. Meanwhile, ACC adoption numbers have decreased from 10,865 in 2005 to 5,730 in 2010—a fall of 47 percent. “The central cause for this dramatic reduction in the AC&C’s direct adoptions is because the ACC does such a poor job at (a) marketing its animals to the public, (b) making adopters feel welcome, and (c) expediting the adoption process,” says Esther Koslow from Shelter Reform Action Committee. Communications director Gentles says ACC holds outreach and adoption events several times per week and uses social media and newspaper ads to promote adoptions. No-Kill is something of a misnomer: Even no-kill shelters may euthanize an irretrievably ill or dangerous animal. And critics of the ACC contend the organization has expanded its list of “untreatable” conditions that justify putting an animal down. “Clearly what they do is downgrade an animal over the course of time so they can put it on the euthanasia list because they need to make room,” Assemblyman Micah Kellner, a frequent ACC critic, said in an interview. Bank defended ACC’s system of checks and balances to prevent such mistakes. But she refused to answer a question about whether animals were sometimes euthanized only because of space constraints. “I think it’s a bigger issue than just space limitations. As you start talking about animal control, sheltering issues get extremely complicated. It’s not just about plopping another cage in the back…because that’s how you get things like Panleuk. You have to manage the population accordingly,” she said. The case pending at the state’s highest court frames some of these issues. Stray for the Heart (SFTH), a non-profit dog rescue group “dedicated to the rescue, rehabilitation and placement of homeless dogs” according to its website, sued the city in 2009 for violating the terms of the 2000 shelter law. The city appealed the verdict and won, with a panel of justices unanimously ruling in 2011 SFTH couldn’t bring such a lawsuit because it didn’t have standing in the first place. Meanwhile, the City Council changed the law that was the basis for the suit: Despite heavy opposition from the rescue community, it passed Local Law 59 last year, effectively nullifying the mandate to build full-service shelters in each borough. In exchange, the law designated more money—approximately $10 million over three years—and extended hours for ACC. With the law a moot issue, the lawsuit now focuses solely on whether the city owes damages for the cost of animal care SFTH provided. But more important might be restoring the standing of groups like SFTH to challenge the way the city cares for animals. “Standing would establish a very important precedent, especially for animal welfare-related cases,” said Catherine St. John, an attorney with Kaye Scholer who is advising SFTH on the case. Thanks to LL59, ACC has begun to receive some of the extra funding and is currently on a hiring jag. However, shelter hours have yet to increase. And the departure of Bank means more instability for the organization. For the moment, director of administration and general counsel Risa Weinstock will serve as interim director, a role she played before Bank was hired in 2010.